Leaked satellite images have revealed that Russia has 28 fighter jets on standby for World War 3 just hours before the coalition of western nations bombed Bashar al-Assad’s alleged chemical weapons bases. 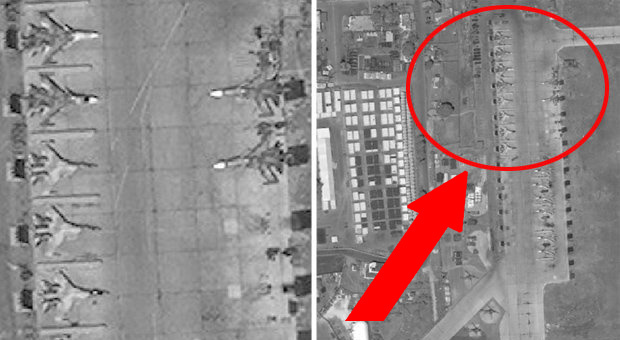 Defense analyst Babak Taghvaee shared the satellite images which shows long rows of military aircraft equipped with weapons stationed at Syrian government airbase. 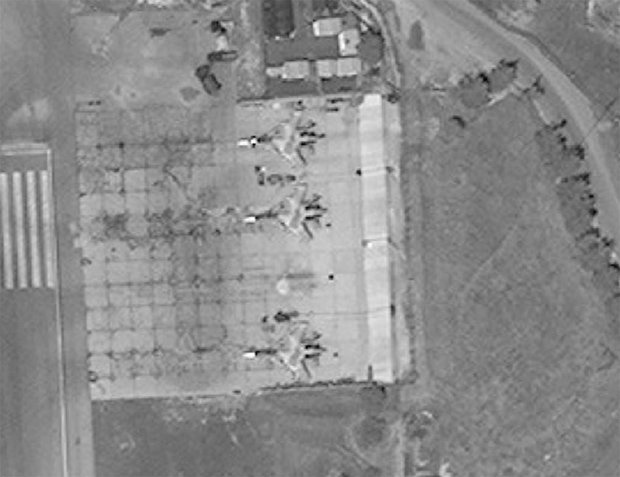 The images show a fleet of Russian military planes, including 28 fighters jets, all of which were discovered at the Khmeimim Air Base close to the city of Latakia in Hmeimim, according to Taghvaee. Deployed to the airbase where some of Russia's most powerful fighter jets, including the Sukhoi Su-30, the Su-24M2, and the Su-25SM3. 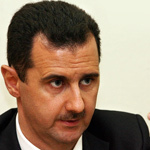 Taghvaee claimed the satellite images were taken April 14 – just 24 hours before the US, UK, and France launched their joint military action against Syria. 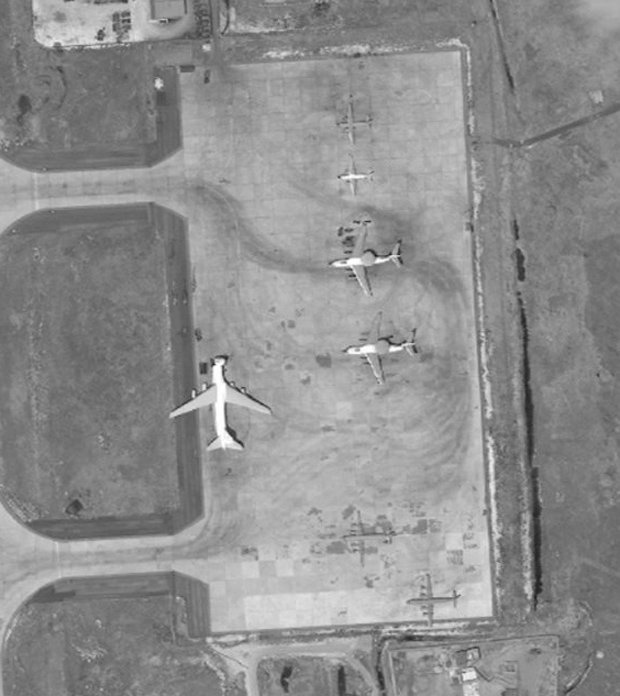 The sheer number of military aircraft at the base shows Putin was ready for world war three. According to the DailyStar: “Satellite images (15/04/18) show that #Russia Navy & Air Force (#RuAF) had prepared themselves for World War III at the #Hmeimim AB, #Latakia probably just a day before the #US, #UK & #France joint cruise missile strike at #Syria Arab Army CW facilities on 14/04/18,” Taghvaee, a military historian and journalist, posted on Twitter. 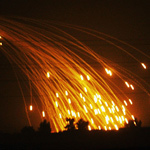 Western fighters jets, warships and submarines from the US, France and Britain fired more than 100 missiles at suspected chemical weapons facilities across Syria on April 14. 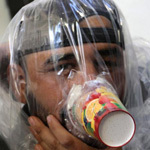 US President Donald Trump declared “mission accomplished” after ordering the overnight assault in response to an alleged chemical attack on civilians in Douma. Putin reacted angrily, calling the airstrikes an “act of aggression” against Syria, whose regime relies on Russia for military support in he seven-year long civil war. Evgeny Buzhinskiy, a former Lieutenant-General under the Soviet Union, warned that Putin would respond in kind if “Russian blood is spilled” during the US-led Syria strike. “We have several thousands advisers in all military installation in all military units,” he said. Last week footage emerged of a Russian fighter jet sinking a patrol boat with a barrage of missiles near Syria just 24 hours after the western strike. Dramatic footage shows a multifunctional Su-30SM fighter obliterating a decommissioned Petya-class Syrian patrol vessel in the Mediterranean. Su-30SM fighters are based at Khmeimim Air Base, which was built in mid-2015 to serve as "the strategic centre of Russia's military operation against ISIS". Russia’s S-400 defensive missile system, used to defend Syrian airspace from attacks by Turkey and Israel, is also understood to be based at the military facility.